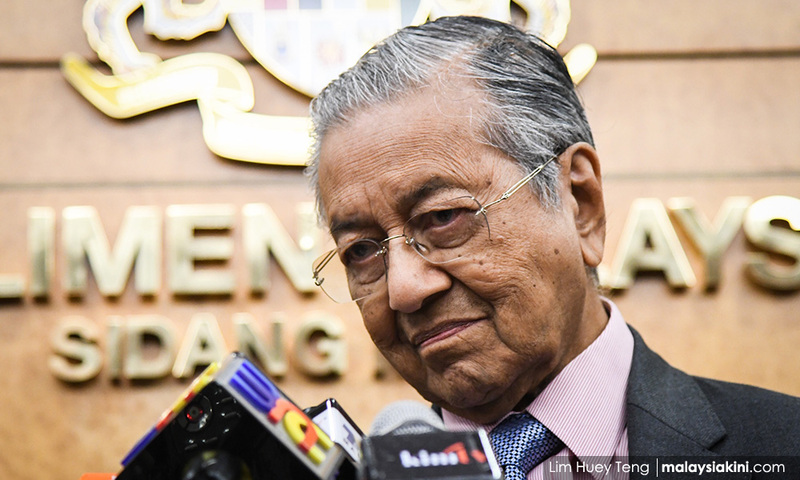 Prime Minister Dr Mahathir Mohamad has downplayed Pakatan Harapan's three consecutive by-election defeats. According to him, most ruling parties do not get much support during by-elections because there will be no change in the government following these polls. "Whether the government (ruling) party wins or not, the government remains the same," he told reporters in Cyberjaya this afternoon. The prime minister said the government faces a lot of problems. "We don't have the money. Money has been stolen. That's our problem. You want to do anything ... the money is not available," he added, according to Bernama. Daim said he expects the people to return to supporting the government once it delivers on its promises, especially by paying more attention to the economy. On Saturday, Harapan was defeated in the Rantau by-election in Negeri Sembilan. Umno acting president Mohamad Hasan retained the state seat in the four-cornered contest with a 4,510 vote majority against Harapan's Dr S Streram. Mohamad, who is the former menteri besar of Negeri Sembilan, has held the seat since 2004. Prior to the Rantau by-election, Harapan was also defeated in the Cameron Highlands by-election in Pahang and Semenyih by-election in Selangor.